When it comes to raising kids isn’t getting more time with them the most precious thing of all? We have so many modern conveniences that help us save time. For most families, there are never enough hours in a day to get everything done. But the parents of today, we’re lucky, because there are so many conveniences that we can use to help us get so many of those monotonous errands done for us! 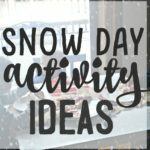 When my third son was born a few years ago, I had to take a step back and analyze my schedule to get it all done. I am a work from home mom, meaning I am raising my small kids without daycare or a nanny ( although my older kids are now in school), plus when I am home, I am juggling motherhood with deadlines for my business. I knew that I needed to sort out a schedule that worked better. Here is what I came up with that has worked for us. 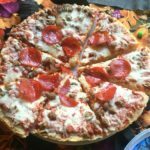 Let someone else do the cooking once in a while Although I love spending time cooking nourishing meals for my family, sometimes time gets the best of me. I, more often than I would like to admit won’t have anything prepared when dinnertime arrives. And that’s okay because there are plenty of pre-made products out there that are easy to throw together for your family. 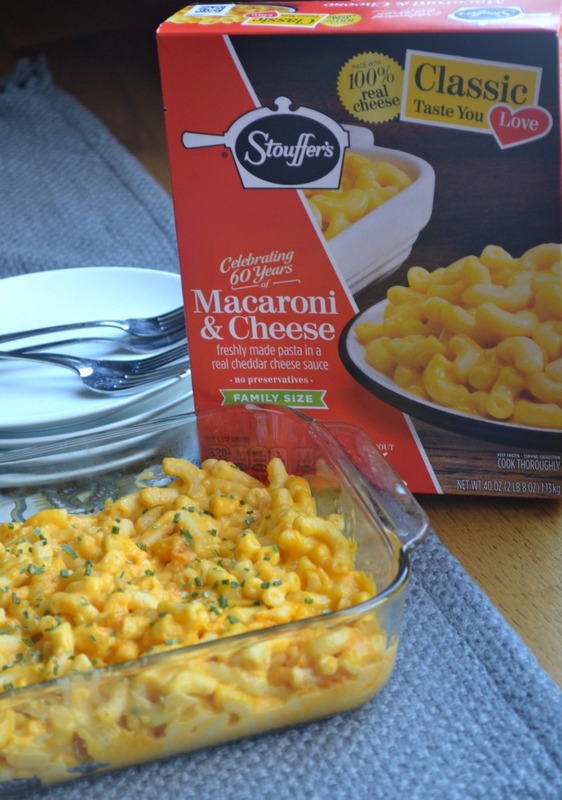 Just last week I made STOUFFER’S® Macaroni and Cheese for my family for our Meatless Friday Meal. 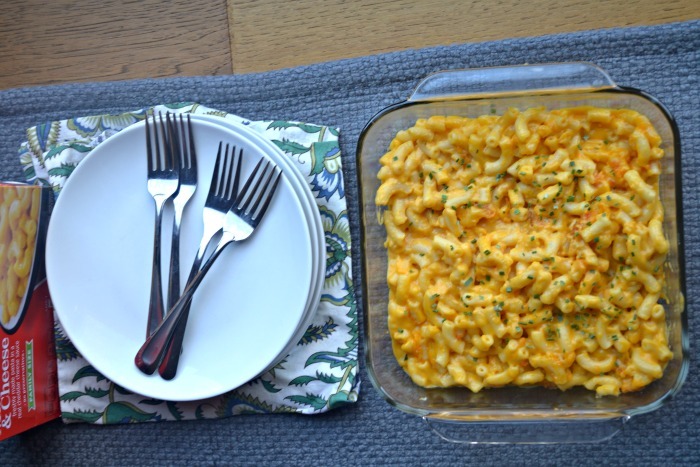 STOUFFER’S Macaroni and Cheese pairs well with salad or fish for a meal that your kids will enjoy! You can find STOUFFER’S Macaroni and Cheese at Walmart. Bring home creamy, cheesy goodness with your Friday fish with STOUFFER’S, available through Walmart Online Grocery. You can find both family-sized and single serve on Walmart’s website. Click the image below to order mac and cheese for your family! 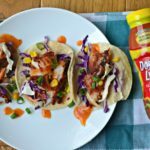 Shop for groceries online A few years ago, I decided to try Walmart’s Online Grocery service, and I never looked back. Picking up my groceries saves me several hours each week, and I never take my kids into the grocery store with me anymore which has saved my sanity as well. Whenever I have a free moment, I will order groceries from my phone, and that is it! 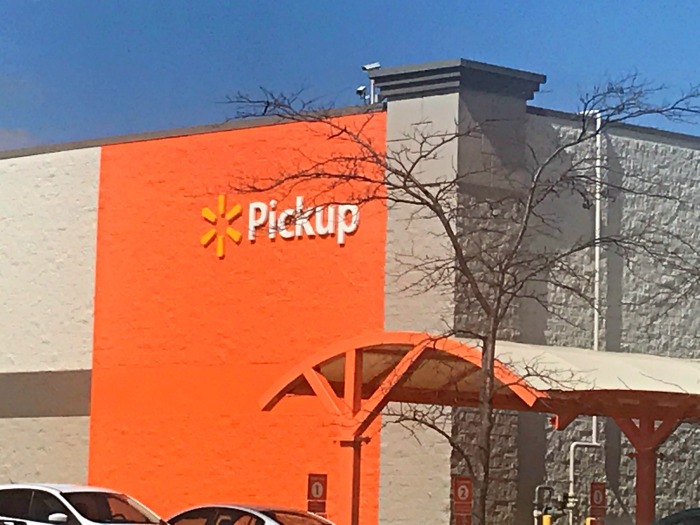 Walmart makes it super easy to use this service! 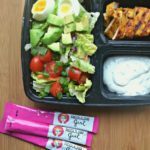 The website and app are very user-friendly, and you even have time to add items that you forgot after your order is processed! Wake up Earlier A few years ago, shortly after my youngest son was born, I was trying to make everything fit. One thing I did that helped was that I started waking up earlier. It turns out that I can be productive from 5-7 am, plus our morning just worked better as a family. We forget less stuff, had time to relax in the morning before school and started leaving the house much less stressed out than before. Plus, after I started waking up earlier, I started sleeping better at night because I was tired when 9:00 PM rolled around. Cook in Double Batches One thing I realized that helps us a lot is to cook meals in double batches. If I am going to spend an hour making a meal, why not make two dinners instead of one? Or maybe you can pack up the second batch of food for lunches? If you do this, I recommend cooking double batches of tried and true recipes that your family loves, so you’re not stuck with a bunch of food that doesn’t get eaten. Cooking in double batches can save you a few hours every week! Buy anything you can online Remember when you used to spend an entire Saturday running around to different stores, looking for that sought out item? Not anymore. 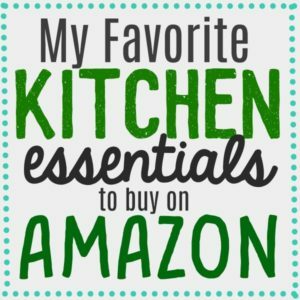 When my family needs new shoes, school supplies, cleaning supplies, housewares, clothes or anything at all, I head over to my computer and order it! I find that you’re less prone to impulse buys when you shop online. When it comes to groceries, cleaning supplies, beauty supplies, I like to keep an ongoing cart of things I need in my Walmart Cart. It’s my electronic shopping list. 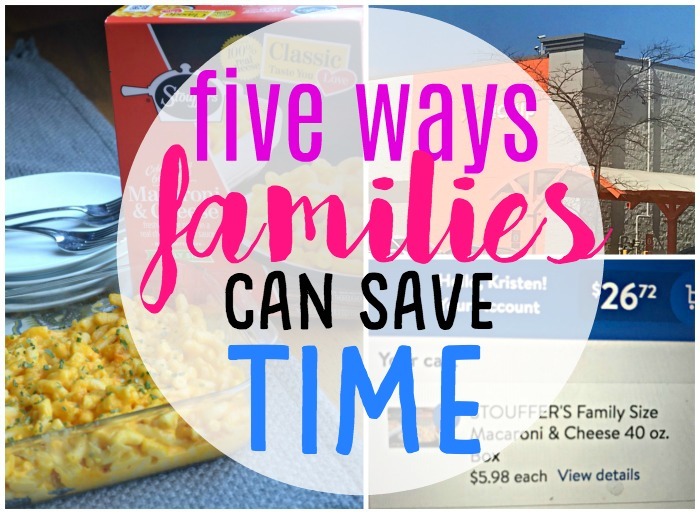 You can find STOUFFER’S Macaroni and Cheese both family-sized and single serve on Walmart’s website. 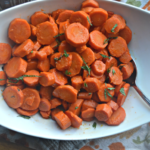 It really is the perfect side dish to serve to your family on Meatless Friday!